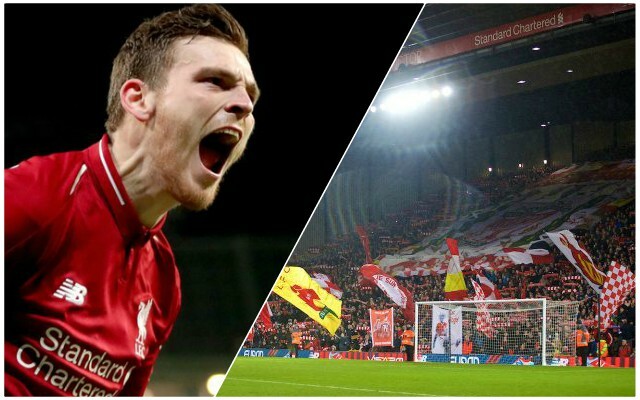 Andy Robertson says there is no better feeling for the Liverpool players than hearing their names sung by Reds fans – and that Virgil van Dijk is particularly delighted with his new chant. Speaking after signing his new five-year contract, the Scottish left-back was full of praise for the club as a whole, but particularly the fans, who he says give the players a real lift when they sing. Via LiverpoolFC.com, Robertson said: “I obviously hear the songs. It’s always nice [to hear]. When the fans sing any of the lads’ names, I am sure it gives them all a lift because if they appreciate you then it is the best feeling. “They’ve sang my song a few times and it is nice to hear it. It can give you a lift in the game. A lot more of the lads are getting songs now and they’re all getting appreciated. Both Robertson and Van Dijk are, of course, very worthy of their songs, as are all the players for their performances this season, and it’s always nice to hear that the players are aware of the support and that it makes a genuine difference. Between now and May as the title races continues, that support could well be the difference in the run-in. Robertson will be in the Reds XI this afternoon against Crystal Palace, the team he made his Liverpool debut against in September 2017. His song is sure to get a run-out during the course of the 90 minutes.